This is quite the bittersweet post. 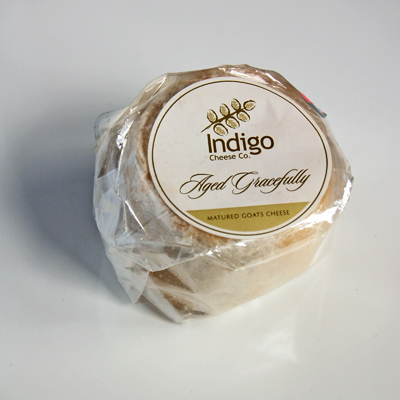 The cheese made by Paula Jenkin at the Indigo Cheese Company have been considered to be the best examples of goat cheese in the country so it's with much sadness that the news came this week of it's closure. Unprofitability the reason behind the decision. This resonates with something my favourite deli owner told me as I searched for a new cheese to taste - Australians don't buy Australian cheese. It's a no-brainer then that if we don't buy it, they don't get stocked but if they aren't stocked, how can we buy them? In compiling this series there has been a difficulty in finding a broad variety of cheese - there are many dairies I'd love to show but I'm unable to find their cheese. I can only be thankful to the various farmers' markets that have allowed me access to a greater number of cheese than can be found via traditional retail outlets. This brings me back to Indigo Cheese Company - this has been one of those that I've found elusive - until today. There it was sitting unassumingly in the cheese cabinet of Leo's in Kew, almost lost amongst it's much larger companions. 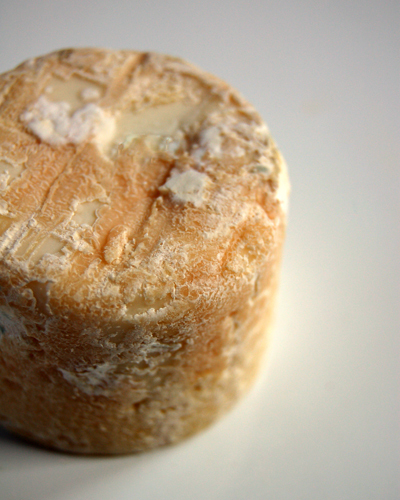 Aged Gracefully is a demure cheese, small in size but not in impact. Freed from it's wrapper you see that it indeed has "aged gracefully". 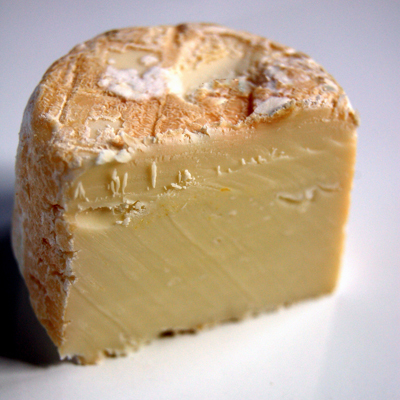 This is a matured goat cheese, made in the French style (Crottin). It starts its life as another cheese made at Indigo called Grace (which is like a French Chabicou). Grace is sold as a youngster (about 2 to 8 weeks) but some are left to develop for 3-4 months. In this time the rind becomes covered with both white and blue moulds and it looses quite a bit of it's moisture. Where Grace weighed about 125 grams, Aged Gracefully weighs less than 80 grams. Sliced you can see that the rind is quite thin and the cheese doesn't show any traces of moisture. It's a little crumbly when sliced and you might think that it could be a little dry or chalky. It's most pleasant to find that it isn't - in fact it had a wonderful creaminess balanced with a tinge of acid in the form of subtle lemon overtones. 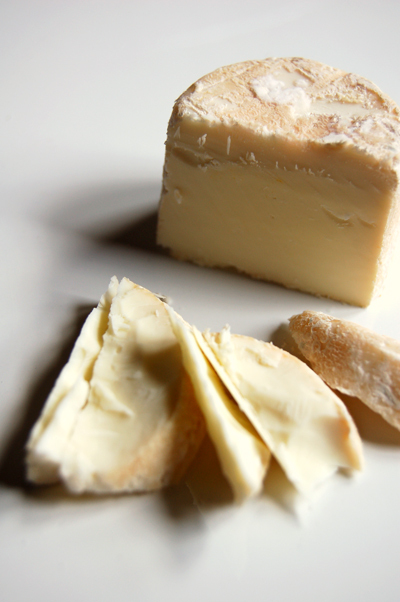 It's a cheese that's satisfying and well worth savouring and spending some time with. Unfortunately once this is finished there will be no more. Vale Indigo Cheese - We hardly knew you.